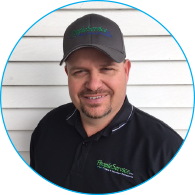 George Hulet has 25 years of experience in water/wastewater. He understands both the public and private sides of the industry, as well as what it means to be both management and an operator working in the field. He excels in problem management and thrives on being a problem solver. Before joining PeopleService as the lead operator for the city of Bethany, Missouri, George was the city’s water and wastewater superintendent. Recently promoted, George is now PeopleService’s assistant region manager for Missouri and will play a key role as the company expands its presence in the state. “In my years of working for Bethany, I had hands-on experience with every aspect of the city’s utility programs, working in water/wastewater and working with the city’s gas and electric departments. No matter the job, I am always excited to learn more, roll up my sleeves, do what needs to be done and take on new challenges. “I attended the PeopleService leadership conference, and on day two, when our region managers presented, I got a real understanding of what the term, “The Power of PeopleService” means. There is so much talent and industry expertise in this company. When they share their valuable experience and insights, it was inspiring to know I work for a company with that depth of knowledge that we can lend to all the communities we work with. To learn more about the PeopleService region manager for your region click here. Ready to talk about what PeopleService can do for your community? Contact Chad Meyer today to start the conversation.